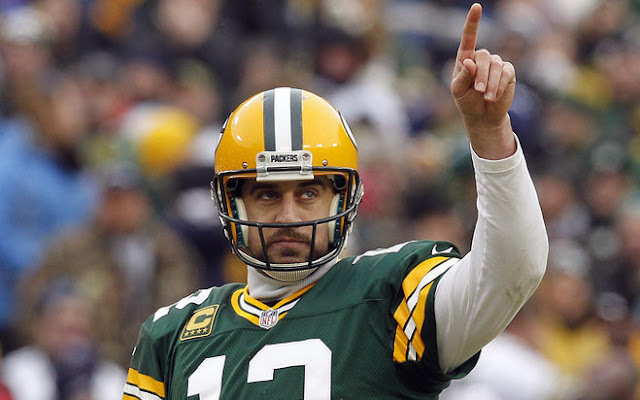 Entering the 2015 NFL season, it is widely agreed that Aaron Rodgers is the best quarterback in football. You could even argue that he’s the best overall player in the sport. His balance of athleticism, arm strength, pocket presence and team leadership is unparalleled in football. Such a skill set has really never been seen before in NFL history with the possible exception of John Elway. The interesting thing with Rodgers is that he has had one extended playoff run during his entire career, and the storyline surrounding him would be vastly different if the Packers failed to win the sole Super Bowl during his career. Such is the mindset of sports fans today. Championships mean everything, but that hardly seems fair. Rodgers wouldn’t be a worse player if he had won one fewer playoff game, yet a title-less Rodgers suddenly falls from the game’s elite into a category of talented losers led by the likes of Dan Marino and early-career Peyton Manning. Winning when it matters most overshadows everything else in the game today, even when all the other evidence proves a point the ring does not. Eli Manning has two Super Bowl titles, Joe Flacco has one. These are not better players than Rodgers, no matter how many rings they have.  In what amounts to six and a half NFL seasons, Rodgers has nearly 29,000 passing yards and a 106.0 career quarterback rating. That rating is the highest in league history. No other quarterback has higher than a 97.6 career rating. He also has the lowest interception percentage in NFL history at 1.6 percent. No other QB is below 2.0. Rodgers has topped 25 touchdown passes and 3,900 passing yards in all six of the full seasons he has played; he’s made the Pro Bowl four times, first-team All-Pro twice and won league MVP twice. There is nothing that Rodgers is not elite at. His game has no weaknesses. Yet a similar tale could have been spun about Marino way back when. The way we immortalize “winners” is almost scary. At any level, the small sample size of a postseason lends itself to flukes and luck overtaking skill. Sure, certain player perform better than others when the pressure is greatest, but those same players often perform better than their peers in normal situations as well. That’s how sports work. There is no magic potion that makes a bad player good when the final seconds tick off the clock. Similarly, there is no disease that strikes All-Pro players to make them choke in big moments. Sometimes the better team loses. If that wasn’t the case, sports wouldn’t be worth watching. With Rodgers, this seems like such an easy myth to quash. If he didn’t have his one ring, would he really be a worse quarterback, have a weaker arm, be more schizophrenic in the pocket? Of course not. Those talents remain no matter how many championships he leads the Packers to. Usually when failure happens to a good player in big moments, when fans turn to panic and say the player doesn’t have “it”, the likely excuse is more benign. He just needs more reps. He just needs another chance. Eventually the better players win out. Rodgers has had five playoff appearances outside of his 2010 Super Bowl-winning season. In those games, he is 2-5. This amounts to less than half a season’s worth of contests. How silly would it be to judge a quarterback on half a regular season? Well, it should be the same when judging playoff runs, or even less so. At least during a regular season a player can form some sort of rhythm. That’s not often the case during disjointed playoff games over the course of multiple seasons. But even Rodgers’ losing years are pretty good. In his non-2010 career playoff stats, Rodgers has 14 touchdowns passes, just five interceptions and a 64 completion percentage. Sure, he completed over 68 percent of his passes for nine touchdowns and just two picks in Green Bay’s run to the title, but quarterbacks are nearly always better in victories. That’s just the nature of the beast. And with just seven games of evidence, it’s hard to say Rodgers would even be responsible for any of the playoff losses if that was his full resume. In 2009’s loss to Arizona, Rodgers led the Pack to 45 points on the road only to lose in overtime 51-45. In 2011, the 15-1 Packers fell victim to the eventual champions, the New York Giants. 2012 Green Bay won a playoff game and then lost 45-31 to San Francisco in the divisional playoffs. The defense once again let the team down. 2013’s version was just 8-7-1 after the regular season to begin with and wasn’t expected to do much come playoff time, which it didn’t. Finally, last year’s team took the Seattle Seahawks to the brink in overtime only to fall one possession short of advancing. None of the team’s recent playoff losses could even be fairly attributed to Rodgers, let alone be reason enough to scar his legacy. We would say he can’t win the big one if it had been this many years for Aaron Rodgers in the NFL without a title. It would be ludicrous to make such a judgment, but that’s how fandom works in the 24-7 sports news cycle. If someone hasn’t won, there is no evidence to say they can; of course, any simpleton lawyer can tell you that not proving the positive is nowhere close to the same thing as proving the negative. It just means we may need a little more time to know for sure. Luckily for Rodgers, he won’t be waiting. Although, how great can he really be if he’s only won one Super Bowl ring?